What do you think about Mission Briefing replacing Mnemonic Betrayal ? It synergises with Bolas's Citadel , dumping lands in the graveyard, and acts as a Snapcaster Mage . Thanks for asking! You're all welcome to critique or ask any questions regarding this deck and I'll try to give some meaningful input. 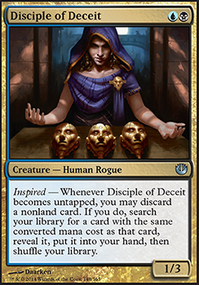 Mnemonic Betrayal I feel like is more of a sideboard card that is incredibly powerful in the right meta. If it doesn't do much against decks you regularly play against feel free to drop it for the next most powerful card of your preference. It could be replaced by a cantrip, mana rock or a card draw engine like Sylvan Library if you continuously play against random opponents. 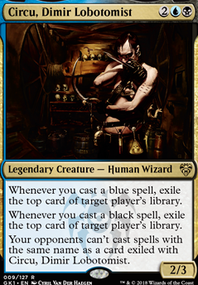 You're right in that it's probably not worthy of being maindeck in this "stocklist". 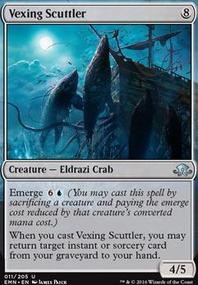 Otherwise you could use it as a flex splot for whatever card that works well in your meta like Verity Circle , Rhystic Study or Compost for instance. Seat of the Synod is in the list to keep the singleton aspect of the manabase for Tainted Pact and enabling mox opal or niche Transmute Artifact synergies. If you play against cards like Null Rod a lot feel free to replace it with something that is more useful for you which could be for example Twilight Mire or Tarnished Citadel . 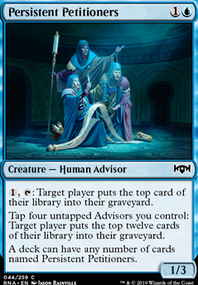 Personally I don't like Tarnished Citadel due to heavy life loss which hurts your Bolas's Citadel and Ad Nauseam potential. Me again, I am wondering about a couple of your card choices, mainly Mnemonic Betrayal and Seat of the Synod . I don’t understand what these cards do for the deck and would like to know the reasoning behind them. Hi Quadsimotto, thanks for commenting. At any rate, pretty sweet dimir brew. 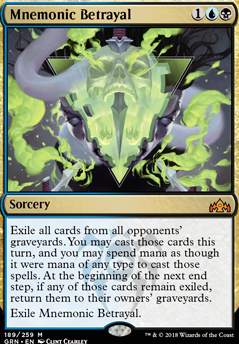 Here goes - As there is a lot of enchantment removal in the current meta, to get value from Psychic Corrosion you really need to swing in with a lot of card-draw once it is on the field and I don't see space to add in more card draw. A big worry is that you seem to have no early defense or negation, leaving you vulnerable to both control heavy and aggro decks. Swapping out Psychic Corrosion for Thoughtbound Phantasm might just swing the balance, creating a more resilient mid-range deck. Then, lastly, I would really want to simplify and streamline your deck, getting rid of the once-off cards that might work if you drew them at the right time. 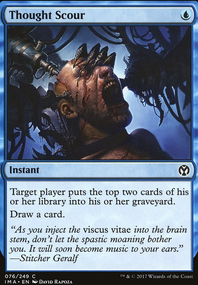 I have tried Mnemonic Betrayal in a few different decks and each time found that it promises far more than it delivers. My version of this deck would be something like Steal or Discard, but that alternative probably still needs some work.